Many people would love to alter their appearance in some way. Perhaps they are unhappy with the size of their nose, their breasts have sagged or they cannot lose their ‘love handles’ no matter how hard they try. Maybe they have heard of rhinoplasty, mastopexy and abdominoplasty but felt that they could not afford it. Patients should not be weighed by the negative effects of poor self-esteem and aging looks, as cosmetic surgery is now more affordable than ever. Dr. Joseph Racanelli understands the conflicting demands that many patients have on their finances and has come up with a number of ways to help. Most important of these is that he will never recommend a treatment unless he is sure you understand what is involved and that you will be happy with the outcome. Secondly, he always utilizes techniques that require the smallest and optimally placed incisions to keep recovery time to a minimum. Wherever possible, he combines procedures, which is more cost-effective and avoids the need for repeated absences from work. One of his popular packages is a ‘mommy makeover’ which includes abdominoplasty, breast augmentation and liposuction. Added to this, is the opportunity to make appointments outside normal office hours at any of his four offices in New Jersey, Brooklyn and New York City, helping you to save on time and travel costs. Dr. Racanelli works with an array of finance companies, so that you do not have to wait to receive your treatment. These are all established, and reputable, organizations that can offer flexible payment plans tailored to your needs. When searching for a surgeon, remember, a reasonable price does not equate with a suboptimal treatment. When you choose Dr. Joseph Racanelli you can rest assured that you have chosen a qualified and highly recommended plastic surgeon. 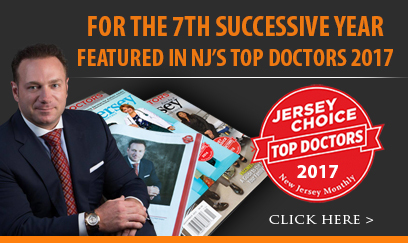 When seeking Affordable Cosmetic and Plastic Surgery in NJ, call Dr. Joseph Racanelli. If you are looking for affordable cosmetic surgery then this is the best way to finance having the surgery with easy monthly payments. Contact Dr Racanelli for any advice with any questions you have regarding affordable plastic surgery. If you are in the New Jersey, NJ area then book and appointment for a one to one meeting.